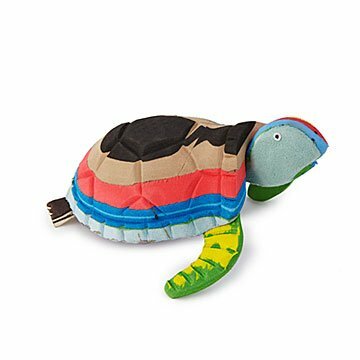 Artisans in Kenya craft each of these one-of-a-kind turtles from flip-flops that have washed up on shore. When the ocean gives you flip-flops, make turtles. We like to think this is the ancient Kenyan proverb that inspired these adorable garden sculptures. Artisans in Kenya, after all, craft them from flip-flops that have washed up on shore. Place one in your own garden for a whimsical pop of color, or give it to the person who knows slow and steady wins the race... for most fun decor. Handmade in Kenya. Wipe clean with dry or damp cloth.